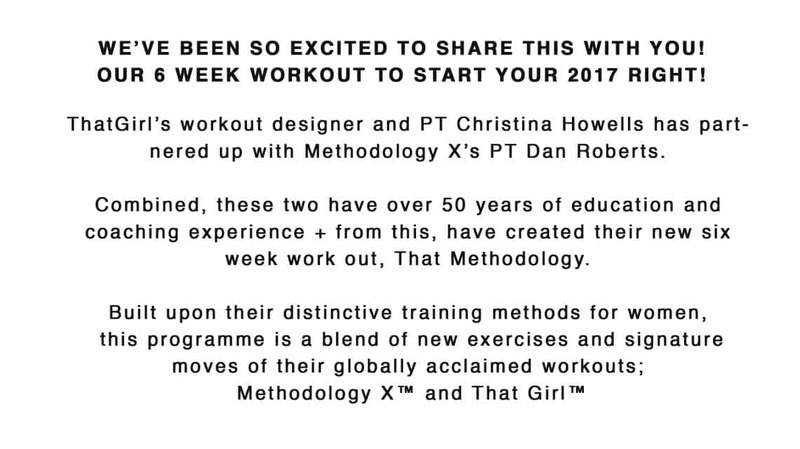 WE’VE BEEN SO EXCITED TO SHARE THIS WITH YOU! 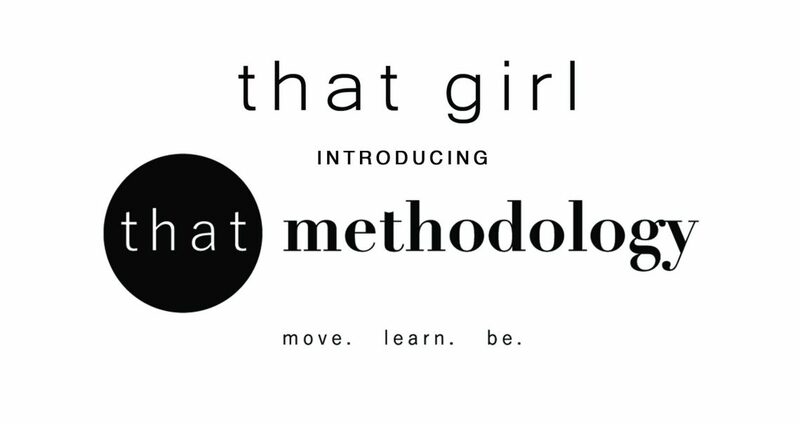 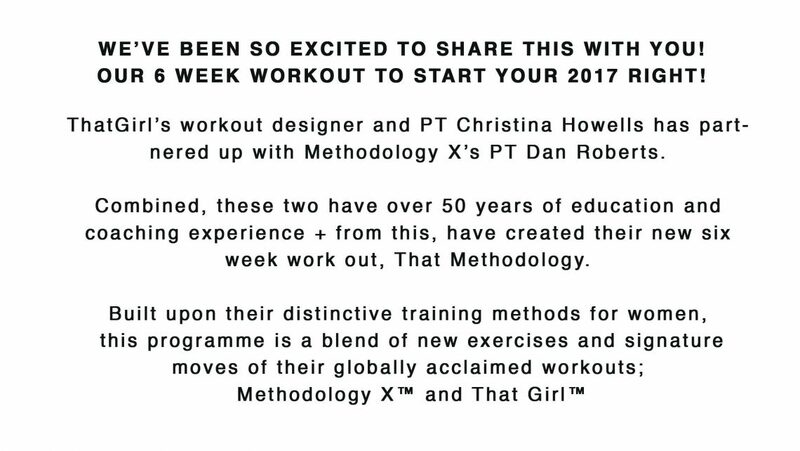 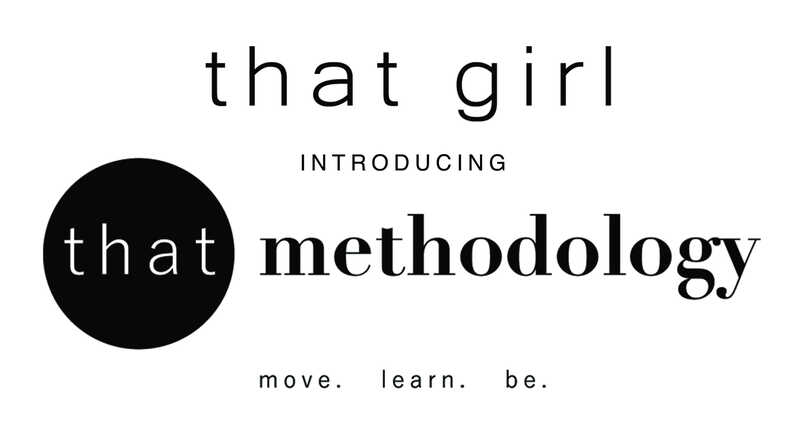 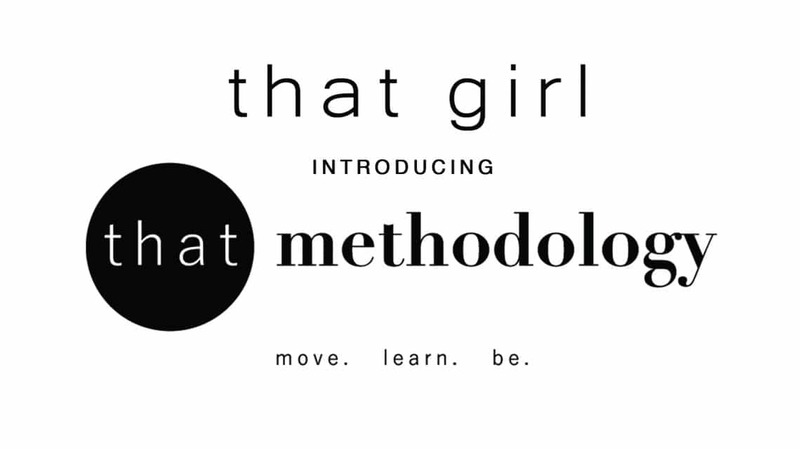 That Girl’s workout designer and Personal Trainer Christina Howells has partnered up with Methodology X’s Personal Trainer Dan Roberts. Combined, these two have over 50 years of education and coaching experience + from this, have created their new six week workout, That Methodology. 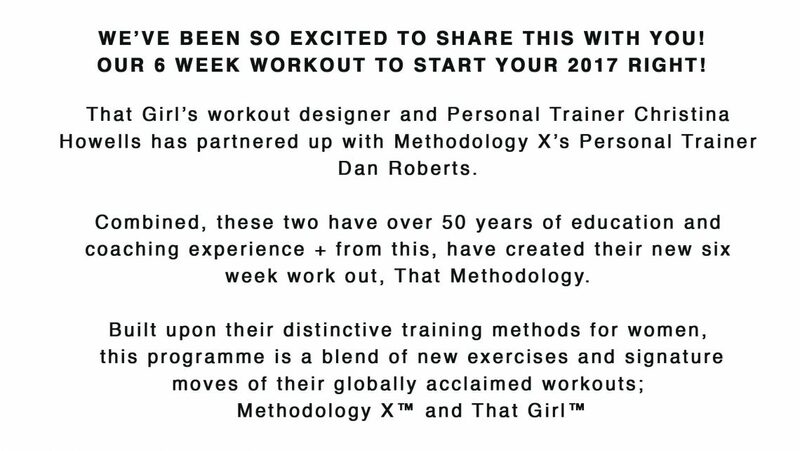 Built upon their distinctive training methods for women, this programme is a blend of new exercises and signature moves of their globally acclaimed workout; Methodology X and That Girl.